If you have any questions about the MY WAY information page below please contact us. The good sized luxury yacht MY WAY is a motor yacht. 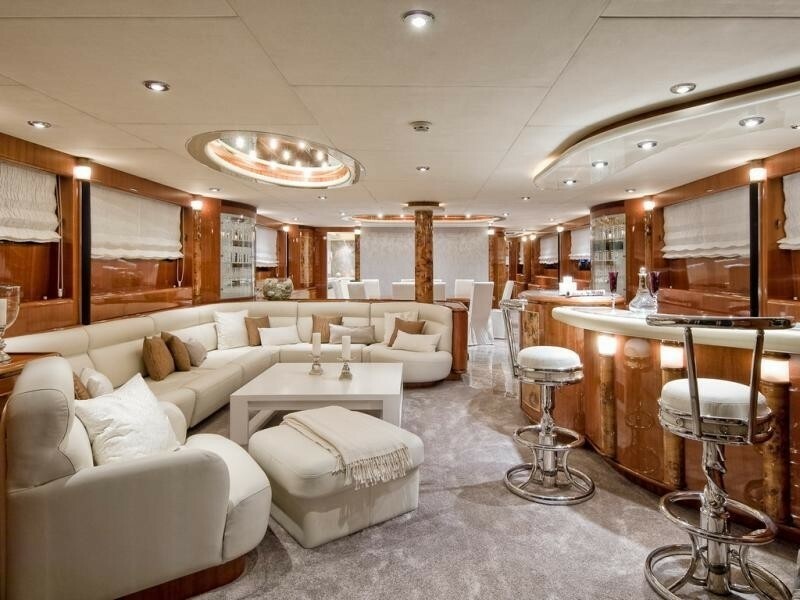 This 32 metre (105 foot) luxury yacht was built by Horizon Yachts in 2002. MY WAY used to be named 304. 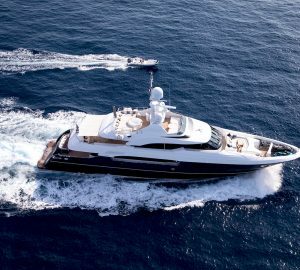 Superyacht MY WAY is a stately yacht that can accommodate up to 10 guests on board and has a total of 4 crew members. 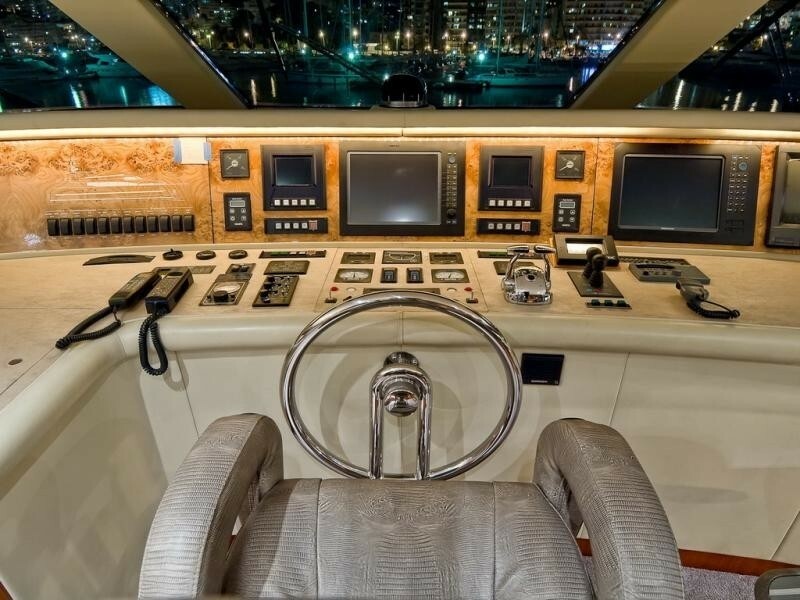 Ready for launch in the year of 2002 her interior design proffers the integrity of owner and Evan Marshall. The yacht's wider design collaboration came from Tommaso Spadolini. The professional naval architect drawings are the creation of Tommaso Spadolini. 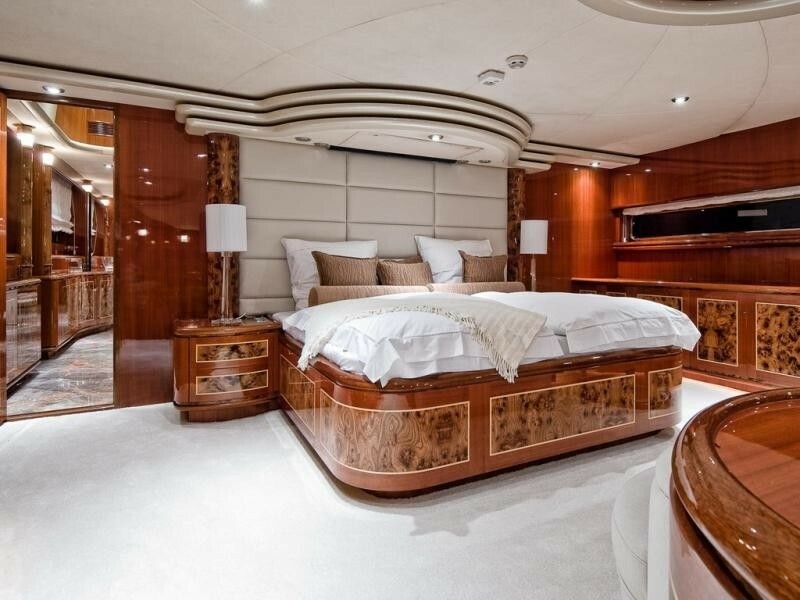 Motor Yacht MY WAY received her elegant interior designing from the interior design skills of Evan Marshall. In 2002 she was actually launched with celebration in Kaohsiung and post sea trials and finishing touches was then passed on to the owner who commissioned her. 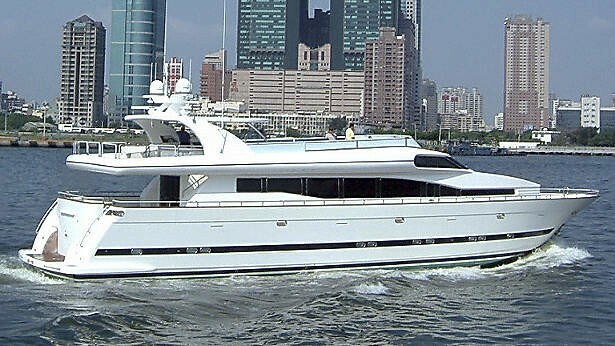 Horizon Yachts completed their new build motor yacht in Taiwan. Her core hull was constructed with composite. The motor yacht main superstructure is fabricated predominantly from composite. With a width of 7.53 m or 24.7 ft MY WAY has reasonable internal space. She has a reasonably shallow draught of 2.29m (7.5ft). She had refit improvement and modification completed in 2007. MY WAY is propelled by twin reliable MTU diesel engine(s) and can manage a lightning maximum continuous speed of 21 knots. The main engine of the yacht gives 1826 horse power (or 1344 kilowatts). Her total HP is 3652 HP and her total Kilowatts are 2687. For propulsion MY WAY has twin screw propellers. For stabalisers she was supplied with Trac. Concerning bow thruster maneuverability she utilises Abt. The boat’s magnificent cruising speed is 18 knots which produces a range of 1400. The good sized luxury yacht motor yacht MY WAY can sleep as many as 10 guests and has 4 crew. Total engine power output 3652 HP /2687 KW. 1400 at a speed of 12 knots. Onan 3 times 22.5 kilowatts. Marine Air is the company which installed the A/C on this vessel. Her deck material is predominantly a teak deck. The luxury yacht MY WAY displayed on this page is merely informational and she is not necessarily available for yacht charter or for sale, nor is she represented or marketed in anyway by CharterWorld. This web page and the superyacht information contained herein is not contractual. All yacht specifications and informations are displayed in good faith but CharterWorld does not warrant or assume any legal liability or responsibility for the current accuracy, completeness, validity, or usefulness of any superyacht information and/or images displayed. All boat information is subject to change without prior notice and may not be current.